Nylon back with mesh front for ventilation and easy location. Includes hanger loop and zipper closure. 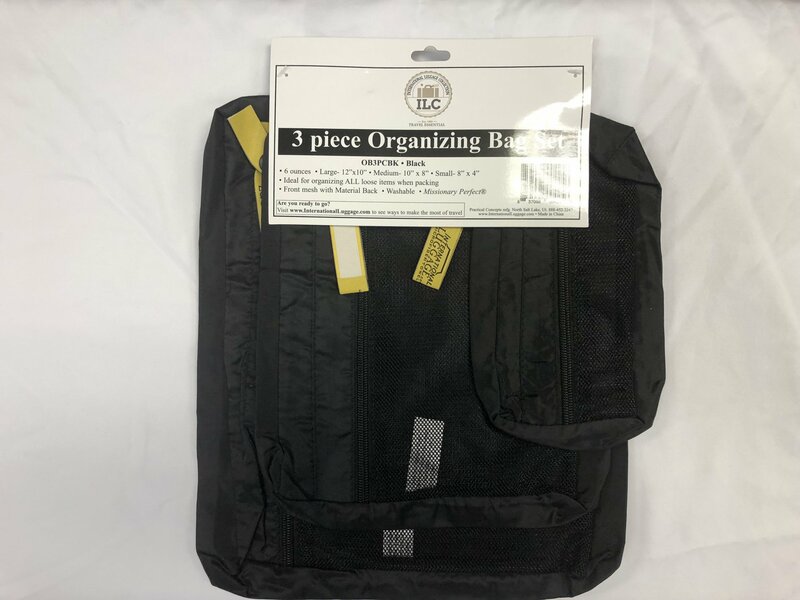 International Luggage Collection 3 Pack Organizer Bags - Great organizers for packing smaller travel items and personal effects. 1 - 12" x 10"
1 - 10" x 8"
1 - 7.5" x 3.5"